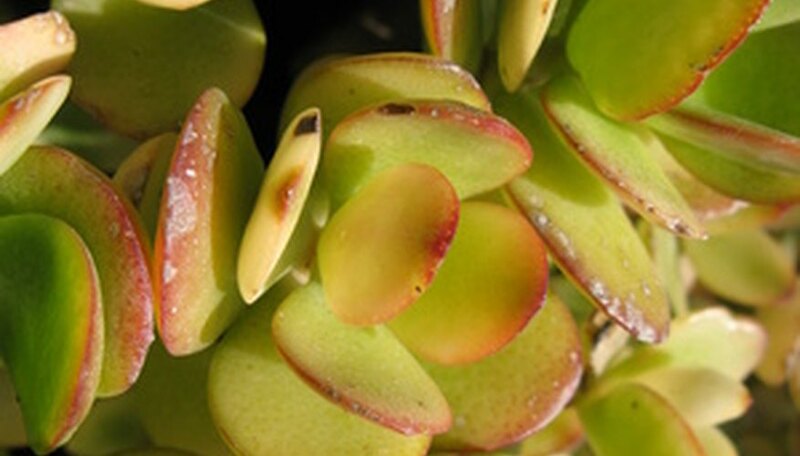 A jade plant can be a joy for years and years in your home, but after a while it will need repotting to allow the plant to continue to grow roots to support the ever larger branches and leaves. If left untended, a large jade plant is likely to tip over from becoming top heavy. To repot large jade plants be sure to have all of your supplies ready in early spring as the jade starts to show new growth. Spread out a layer of newspaper on the floor to catch dropped soil. If you can’t move your jade to an open area in your home, then move items around your jade out of the way so you have plenty of room to work around the plant. Place a large pot over the center of the newspaper. The new pot should be only 2 to 3 inches larger in diameter than the existing pot. Fill the bottom of the pot an inch deep with gravel to help aid in drainage. If you are worried about your plant tipping over, place a brick on top of the gravel to add more weight to the pot. Pour in succulent soil over the gravel and brick, if using one, to fill the bottom third of the pot. Carefully hold the base of the jade and lift it out of the pot it is in and place it in the center of the new larger pot. Make sure the top surface of the jade’s root ball is just slightly below the rim of the new pot. Lift the plant, if needed, to add or remove soil. With the jade positioned in the pot, fill in the surrounding areas with fresh soil until the pot is filled. Position the new pot in a sunny area and water the jade as you normally would for its weekly watering. The jade should not need to be repotted again for a number of years. To make the jade a little easier to remove from its pot, wait a week after your last watering to let the soil dry and become lighter in weight. Depending on how large your jade is you may want a friend to help you lift it so you don't end up dropping the plant. While your plant can recover from most damage, it can take years to do so. Anytime you move the jade be careful not to knock off the leaves of the plant. The slightest bump can be enough for the plant to drop several leaves, and while it won't harm the plant to lose them, it can make it unshapely.